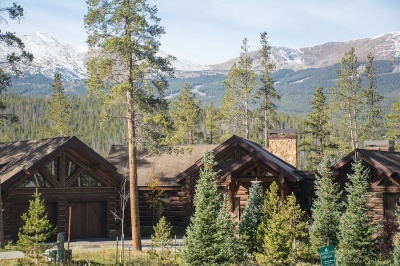 Homes for sale in the Highlands, Breckenridge are within a close-in, gradually rolling neighborhood of custom-built single-family houses with fantastic views across the valley to the Breckenridge Ski Area. 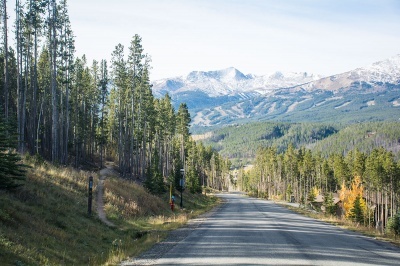 he Highlands at Breckenridge is made up of several sections such as – Gold Run, Highland Park, Highland Greens, Fairways and Eagle, and Glen Eagle – and is situated between downtown Breckenridge and the golf course. The Highlands has strict Design Review standards and all home have been drawn and custom-built to meet these. Developed late in the 1990s, any of the Highlands homes for sale will be newer and well maintained. The roads are paved, the utilities under ground, and all homes have natural gas available and are on town water and sewer. Are you ready to browse the Highlands homes for sale listings? Check them out below, or read more about nearby amenities. The Breckenridge Public Golf Course, designed by Jack Nicklaus, lies at the northern boundary of T he Highlands and is easily accessible to homeowners. 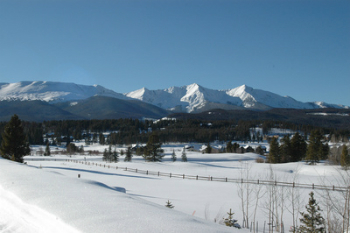 In the winter is serves as the Gold Run Nordic Center. Hiking and biking trails into the backcountry lead from the Highlands, and just across Tiger Road is the Swan River and quality fishing waters. The Highland is on the north side of town, which makes getting out of town – and onto I-70 – very convenient. Many of the highland homes have great views toward the Breckenridge Ski Resort and the Tenmile Range. The Rounds family owned the Highlands for almost as long as there has been a ski business in Breckenridge. They started the Breckenridge Ski Resort in 1961, and brought an extension of their lumber company to town to help make homes for those who would come to enjoy skiing. Size: 2112 sq. ft. to 8085 sq. ft. The Highlands at Breckenridge is located directly east of Highway 9 between Highlands Drive and Tiger Road. From the traffic circle in Breckenridge, continue north about ½ mile and turn east (right) on Highlands Drive. All of the properties in the Highlands can be accessed from this road. When you come to the Breckenridge Golf Course turn left on Tiger Road and in less than one mile turn left on Highway 9 at the light and you will return to Breckenridge. Send us a message to talk to a professional from Breckenridge Associates. We can help you find your dream home in The Highlands, or any other Breckenridge subdivision.